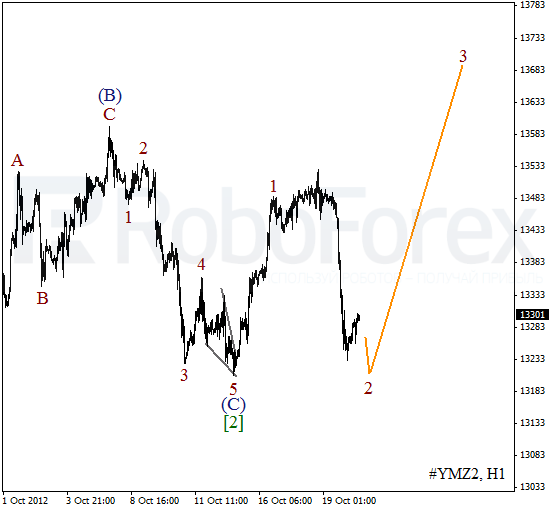 We can’t exclude a possibility that the Index is still forming wave (1). A critical level here is the minimum of wave . If the instrument breaks this level, we will have to reconsider the chart structure. More detailed wave structure is shown on the H1 chart. We may assume that wave 2 is taking the form of flat pattern. The bears will most probably test a local minimum. If the price rebounds from it, we can expect the Index to start moving upwards inside the third wave. It looks like Oil continues a corrective movement. 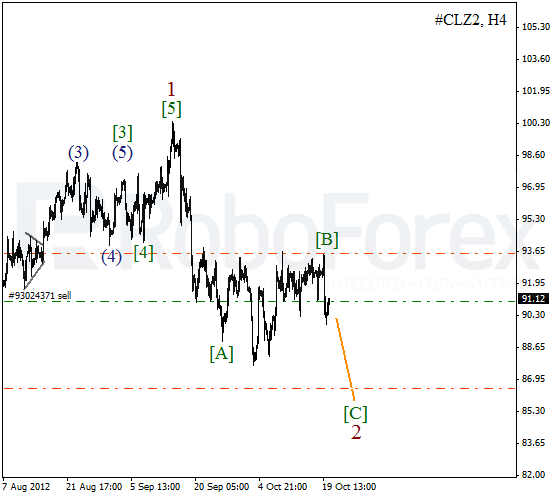 There is a possibility that the price may form a descending impulse inside wave [c] of 2 during the next several weeks. During the correction I’ve opened a short-term sell order with the target at the level of $86.50. 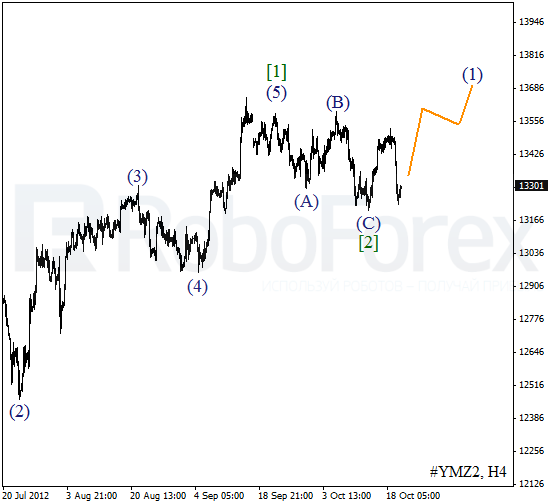 As we can see at the H1 chart, wave [B] took the form of double three pattern. 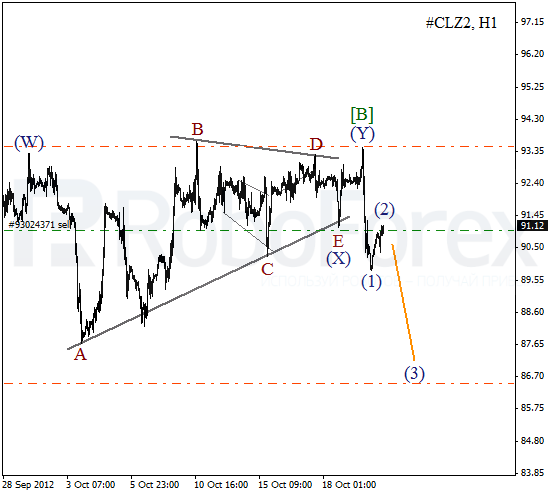 On the minor wave level the price formed quite a large horizontal triangle pattern inside wave (X). We may assume the Oil is finishing wave (2) and may start falling down inside the third one during the next several hours.